Krav Maga Den Haag follows the self-defense system created by Imi Lichtenfeld. Imi created the Krav Maga-system initially as realistic and direct combat system for the Israeli army and police. The great effectiveness of his system motivated him and his first students to develop the system further to make it suitable for citizens, like you and me. We too can be confronted with situations in which we need be able to defend ourselves and our loved ones. Today Krav Maga is part of the standard training package of multiple army, police and special forces around the world, including the Dutch police and army. Imi’s most famous quote is “So one may walk in peace”. Clear and simple, as also are his self-defense techniques, which can be executed in the minimum time required. In order to accomplish that, all techniques are based on the use of the body’s natural weapons and take advantage of natural reflexes. Because of this the Krav Maga-system can be learned relatively easy and quick. The still growing popularity of Krav Maga speaks for itself. Krav Maga combines direct and effective fighting techniques to be used in a realistic environment. A self-defense method that quit differs from most martial art-sports and fight-systems because is knows no rules. Krav Maga is all about using everything you have as well as using ordinary objects that may be nearby, based on the principle that the defender is in the disadvantage e.g. multiple attackers, large physical differences, use of weapons. This makes the Krav Maga-method very popular amongst other ‘fighters’. Also Hollywood has discovered Krav Maga, e.g. Enough (2002 – Jennifer Lopez). Imrich Sde-Or was born on May 26, 1910 in Budapest, one of the larger cities of the former empire of Austria-Hungary. Imi grew up in Bratislava, the capital of Slovakia. His father, Samuel Lichtenfeld, was a superintendent with the police and quite a special person. 13 Years of age he joined a traveling circus and devoted himself in the next 20 years to wrestling, weightlifting and various other disciplines. For Samuel the circus was also a place where he met professionals who liked other sports and who shared their skills and knowledge with Samuel e.g. martial arts. Encouraged by his father Imi trained hard on a whole range of sports. First he started swimming and after that came artistic gymnastics, wrestling and boxing. In 1928 Imi won the National Youth Wrestling Championship and in 1929 light-and Middleweight Championship for seniors. In that same year, he also won the national boxing championship and an international turn championship. In the next ten years he mainly focussed on wrestling, as an athlete and as a trainer. Change came in the mid-1930s, as fascist- and anti-Semitic groups started roaming the streets. In order to stop these gangs from entering the Jewish quarter Imi led a group of young Jewish men, most of whom had a background in boxing, wrestling and weightlifting. In the many street fights they fought Imi soon discovered that sports had not much in common with real combat situations. Imi started developing a system of simple self-defense techniques applicable for life-threatening situations. In 1940 his activities had attracted too much attention of the anti-semitic local authorities. He had to leave his home, family, friends and left with the last ship with emigrants to escape the clutches of the Nazis. That ship was an old Riverboat, the Pentcho, rebuilt to help escape hundreds of refugees from Central Europe to Israel (Palestine called at the time). The gripping story of the Pentcho and its passengers is described in detail in the book Odyssey of John Birman (publishing house Simon & Shuster, New York, 1984). Imi’s trip to Palestine took about two years. In 1944 Imi started giving classes to soldiers, training them in endurance, swimming, wrestling, knife-fighting and defense-fighting against knife-attacks. In this same period he trained various elite units of the Haganah and the Palmach (assault unit of the Haganah and forerunner of the Israelian special army units), as well as the Pal-Yam and policemen. 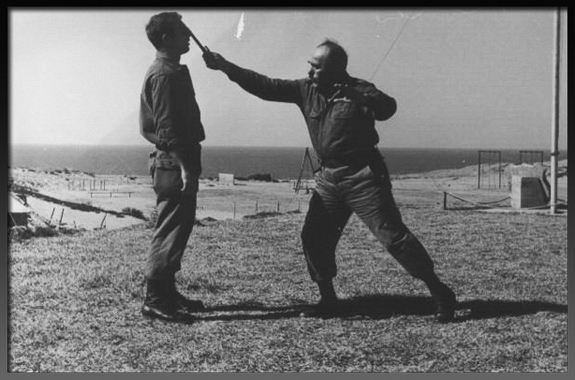 When in 1948 the State of Israel was founded and the Israeli army was formed, Imi became Chief Instructor physical exercise and Krav Maga at the ‘School of Combat Fitness’ of the Israeli army. He served about 20 years in the army, during which he further developed and refined his unique method for self-defense and unarmed combat. After leaving active service, Imi began customizing Krav Maga for civilian purposes. He made the Krav Maga-method suitable for everyone: men and women, boys and girls, everyone who needed to save his or her life or any attack to survive with least possible personal injury. To reach as many people as possible Imi opened two Krav Maga gyms, one in Tel Aviv and one in Netanya, while training teams of Krav Maga instructors. This training was accredited by the Israeli Ministry of education. 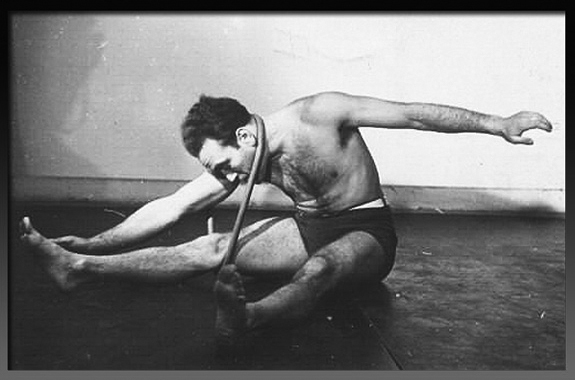 In 1978, he founded the Israeli Krav Maga Association (IKMA). In 1996, the International Krav Maga Federation (IKMF) was founded to bring the Krav Maga self-defense system into the rest of the world. Until the last years of his life Imi loved to supervise classes of those with high degrees in Krav Maga and did he spent time with instructors at home and abroad. He followed the progress and results of his pupils closely, who he inspired and motivated with his expertise and unique personality (source: IKMF website). Avi Moyal was born in 1966 has been studying Krav Maga since childhood soon demonstrating such proficiency that his instructors began having him teach at an early age. In fact, Avi has been teaching Krav Maga for the last 35 years! In 1985 he received his Expert level and joined the IDF Marines. Avi completed his Officer’s training with excellence and served as a Platoon Commander in a Terror Demolition Unit. He acquired many combat hours and experience while commanding subordinates on special operations in Lebanon including highly specialized missions behind enemy lines with various SWAT units. He also provided VIP protection for a high ranking IDF General and an intelligence officer. After active duty, Avi served as a Reserves Platoon Commander in a special operations unit. Avi Moyal graduated all of his trainer’s courses including the senior trainer’s course in the Wingate Institute. He later conducted instructor’s courses in the Wingate institute for 7 years and today he is one of the highest ranking Krav Maga Masters in the world. Among Avi’s instructors were Eli Avigzar RIP and of course Imi Lichtenfeld RIP. As a matter of record, Avi was Imi’s direct and most trusted student as demonstrated by the fact that Avi is the former Chairman of the ‘Aguda’ (the very first Krav Maga organization). Avi instructs women, children and adults in the Israeli private, commercial and governmental sectors. As a matter of fact, he was the IKMF Master who, at the request of the Israeli government, developed the techniques and teaching programs regarding Women’s Self Defense, Car Rage Defense and Children’s Self Defense. He also continues to instruct various military units and security organizations world wide as he has done for the last 20 years. One of the things that make Avi such a renowned and respected authority in the world of Krav Maga is his vast ‘real world’ experience. He has proven IDF combat experience as an officer as previously stated and has also provided VIP protection in the civilian arena for world famous entertainment personalities such as Michael Jackson.